In this lab activity students will use cloud cover data from five cities (real data from NASA's TRMM instrument) to prepare a data table and graph using any available software. 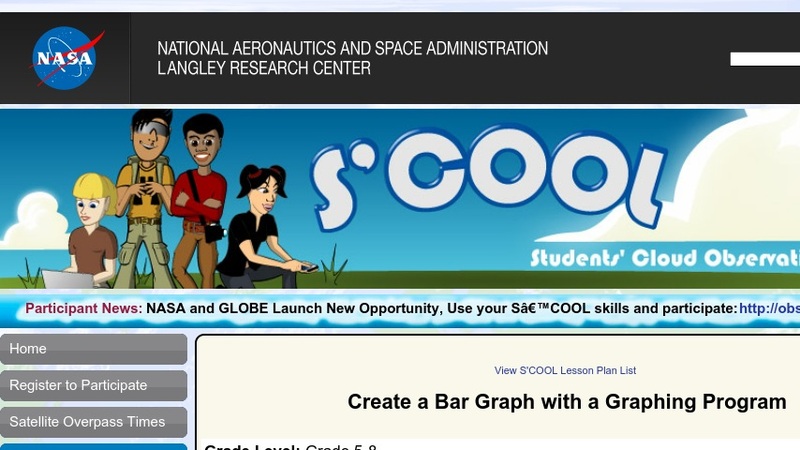 After downloading the data from the S'COOL homepage, they will prepare a spreadsheet and graph, and write sentences describing the dependent and independent variables and describing each cloud group. The site features text, an example data table and graph, and grading rubric.